People bring their kids. Whether they are toddlers babies you will see a lot of little kids in Iceland’s cafes. There if often no wifi, so it’s not exactly a laptop culture. Many cafes are open early (around 7:00 or 8:00am and stay open late 10:00 or 11:00pm and serve alcohol. 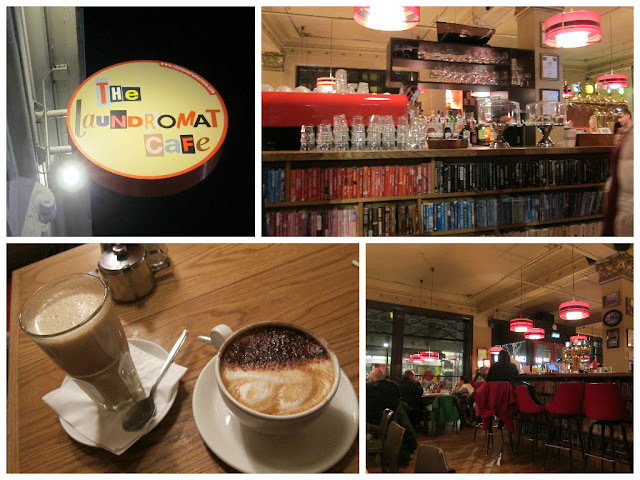 All cafes serve chocolate in its many forms: chocolate bars, hot chocolate, swiss mocha, etc. There are often more people reading newspapers and books than people on their laptops or phones. There are no sizes for coffee (small, medium, large or 8oz, 12 oz, 16oz). Instead there are only two was you can order: single shot or double shot. There are no syrups or flavored sweeteners – just plain sugar you can add yourself. My favorite place for it’s film noir atmosphere. We came in the morning before dawn, when the morning darkness felt like night. The coffee was excellent and the low tables and booths felt like great places for telling secrets. Amazing atmosphere with eclectic furniture and style. Both the top level and basement are very well lit and spacious. 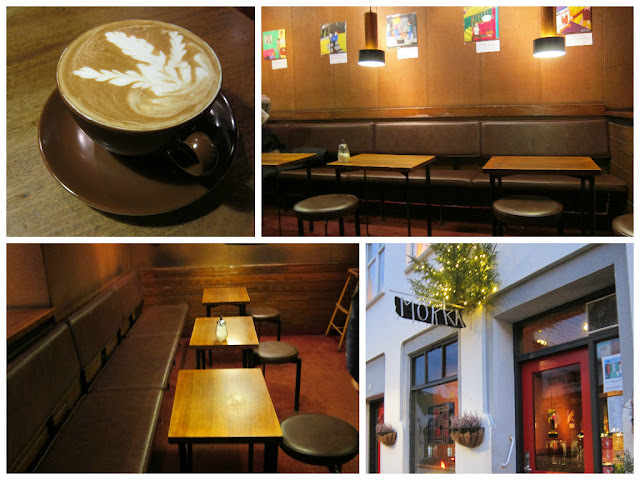 The coffee was good but not any better than Mokka or the other places I liked. 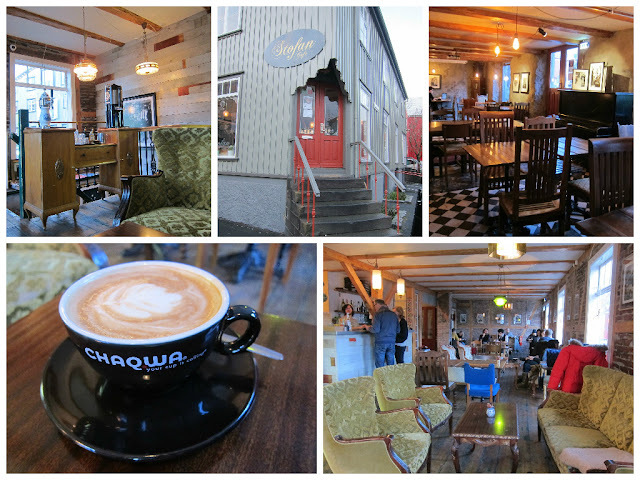 That being said, if I lived in Reykjavik I would be a regular here. With few hours in the Reykjavik winter, we headed to C is for Cookie at still-dark 8:00am for before our flight to Isafjordur. The White Chocolate Mokka was perfect, and I enjoyed the living room ambiance and chill vide of this café. 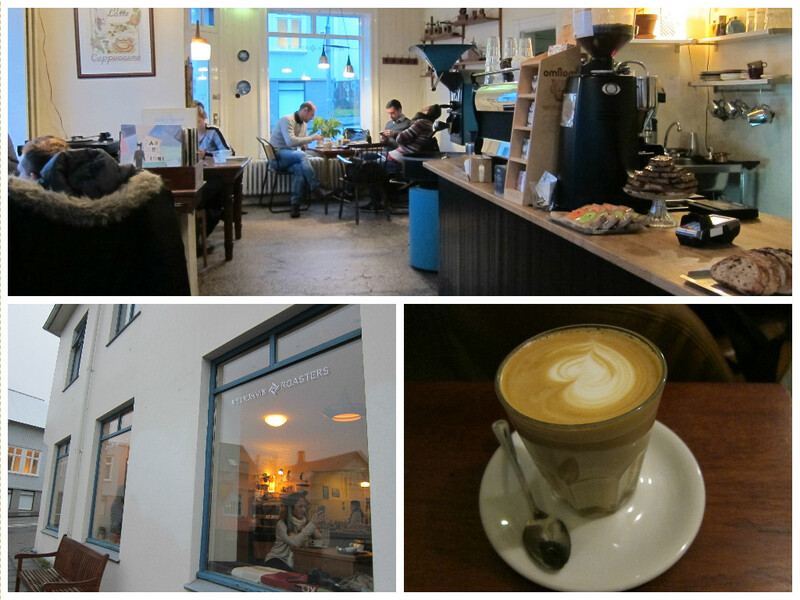 This is probably the most popular coffee join in Reykjavik and arguably the best coffee in town. For some reason, it didn’t quite fit with me. 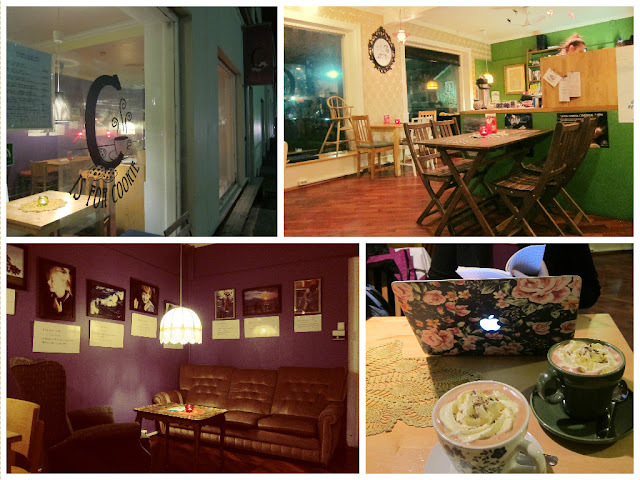 There were very few places to sit, the coffee was average, and I just didn’t fall in love with it like I do other places. More of a restaurant than a café, this is a place you come to socialize, not play on your laptop. It’s usually crowded and noisy, but the drinks were outstanding. 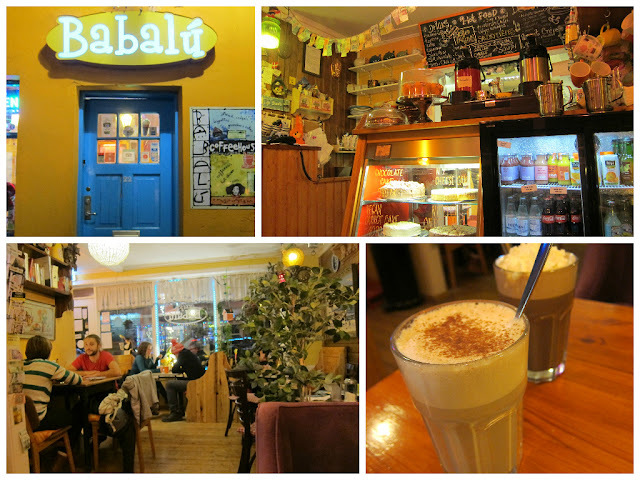 A quirky café, popular for it’s eccentric atmosphere and the fact that it is open very late. The coffee is nothing to brag about, but working among the barrage of decorations was an interesting experience.